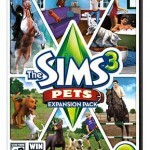 Tags: Arcade, Carnival, Feed your horse, Fun, Grooming, Horse competitions, Kids, Racing video, Take care of horses. This game feels like a free app. 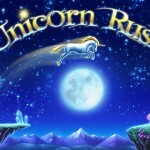 There are ads everywhere, and every opportunity is taken to show you Game Circus’s other games and to buy extra coins for treats or to buy different horses, with funny costumes. However, the competition is still loads of fun. 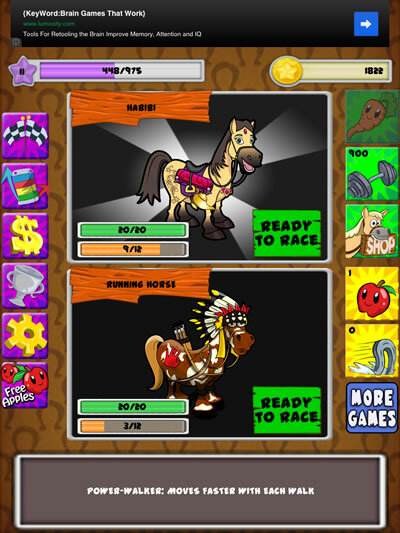 Your horse races against four others, and each wears silly accessories, like feather headdresses and bandanas. This is not a fancy English-style horse race, where your horse jumps over fences. 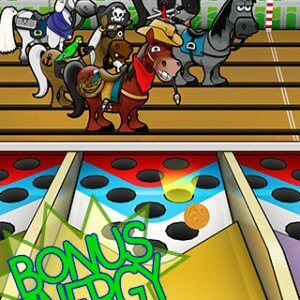 In this app, you roll a ball with your fingers, like a Skee Ball game at the county fair, arcade or amusement park. 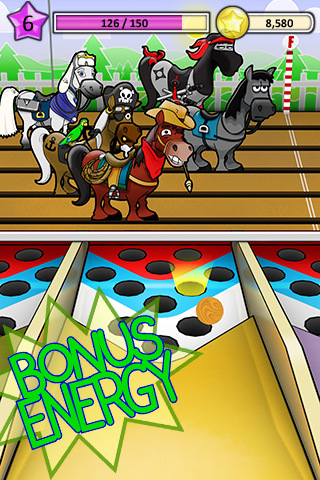 Skee Ball is actually one of my favorite games. 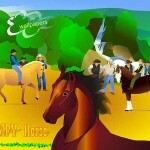 In this version, the better you slide and pocket a ball into a higher-up hole, the faster your horse runs. Also, when a hole is lit up, you get extra points if you get your ball into it. You can give your horse treats like apples and carrots, but you don’t see it eating it. This app is very simple. The only movement is during the competitions. 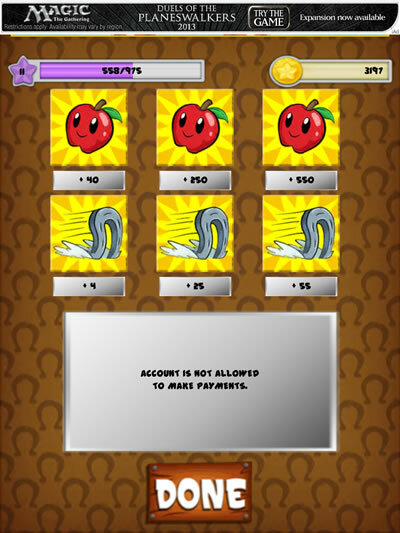 I didn’t like the fact that when I pressed the option for free apples for my horse, I was taken to a screen to purchase stuff from online stores in exchange for free apples. Also, when you have competed a few times, your horse needs to rest. You may have to wait up to 45 minutes or buy extra energy. Overall, the app is fun. Younger children can easily play because there aren't that many functions. Also, rolling the ball into the holes is pretty easy to figure out. But all the ads and pressure to download other games becomes annoying. 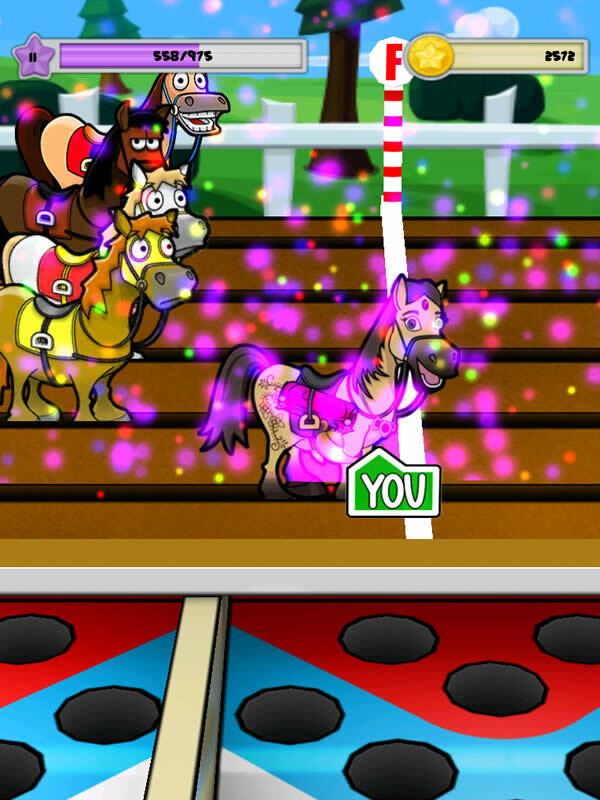 If you love carnival games like me, then Horse Frenzy is worth a play.